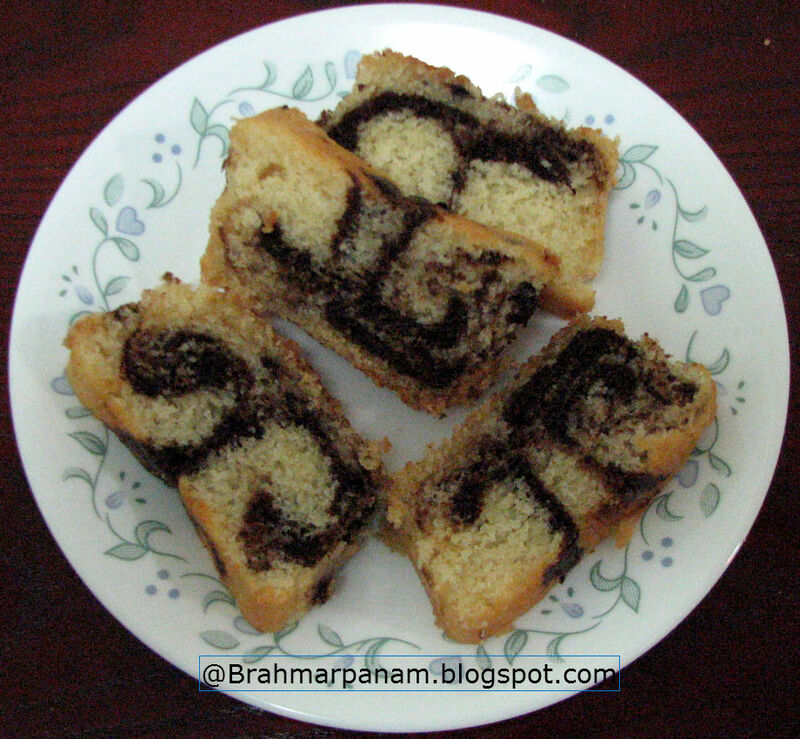 Marble cake is my husband's favourite and I got this recipe from easy cooking and he was totally amazed at how soft this cake was, as he used to think only cake with eggs can be soft. All my friends too loved it and were amazed at how soft this cake has turned out and no one could believe it was eggless! Now I make this cake almost every other week. 1) In a bowl mix the All purpose flour, baking powder and baking soda. 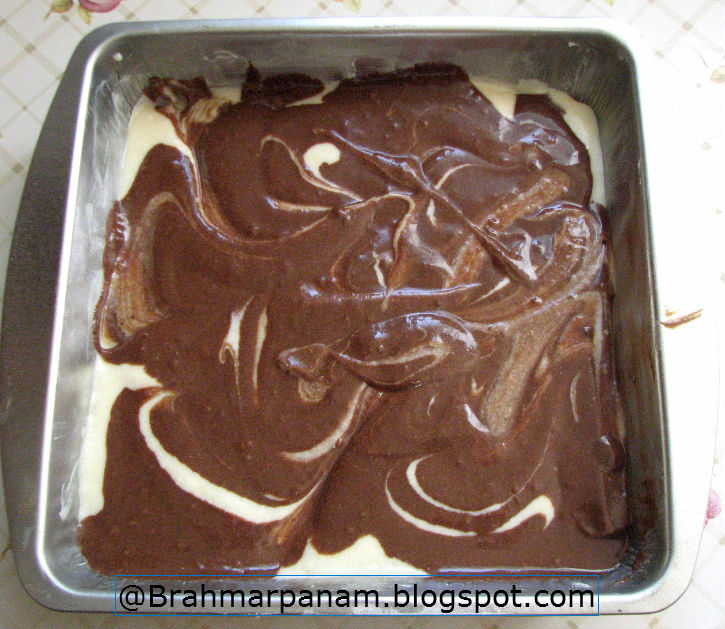 3) Take the hot water in a small bowl and add the cocoa powder and mix well so that it becomes a thick paste. 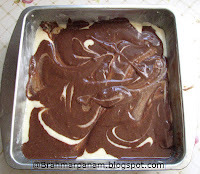 Now add 1/4 of the batter to the cocoa paste and mix well. 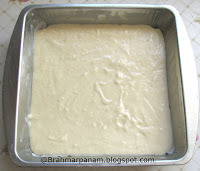 4) Preheat the oven to 350F and grease a cake tin or loaf pan with butter and flour or use a parchment paper. Pour the vanilla batter into the greased tin as shown below. 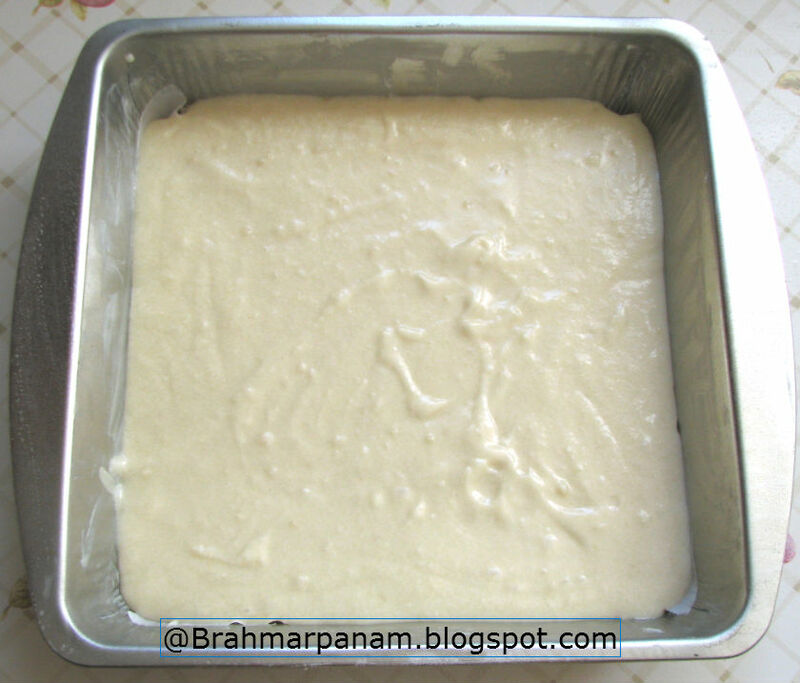 6) Now bake the cake at 350F for 35-20 min or till a knife inserted comes out clean. 7) Allow the cake to completely cool and then slice and serve! 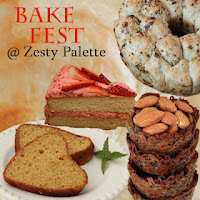 The original recipe calls for orange zest but I skipped that as we all like only plain marble cake. You may replace condensed milk with milk powder as in the original recipe. I didn't have milk powder so I used condensed milk instead and since we all love this texture, I didn't try it with milk powder again.